Ahead of its nationwide cinema release on June 30, director Ceyda Torun will take her smash hit Cat movie KEDI on tour in the UK from Monday June 26, 2017. For many hundreds of years, thousands of roaming street cats have wandered in and out of local people’s lives, becoming an essential part of the communities that make Turkey’s biggest city so rich. Claiming no owners, the cats of Istanbul live between two worlds – neither wild nor tame – and bring joy and purpose to the locals they choose to adopt. Beautifully shot over two months on location in Istanbul, the filmmakers designed and developed innovative ‘cat cameras’ and techniques to uniquely capture the street cat’s everyday lives, many of whose backgrounds and stories are as varied and unpredictable as their human counterparts. 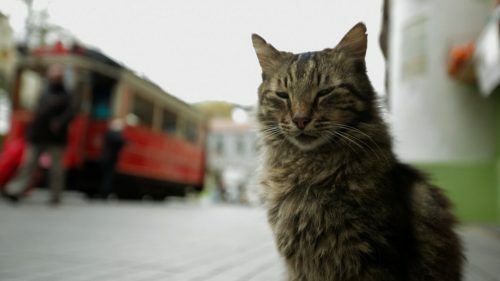 KEDI revolves around the lives of 7 leading cats – Sari (aka The Hustler), Bengü (The Lover), Aslan Parçasi (The Hunter), Psikopat (The Psycho), Deniz (The Social Butterfly), Duman (The Gentleman) and Gamsiz (The Player).